This study was conducted by Daniel Woodworth and Richard G. Gordon – a graduate student and the W.M. Keck Professor of Earth, Environmental and Planetary Science at Rice University, respectively – and recently appeared in the journal Geophysical Research Letters. For the sake of their study, which was supported by the National Science Foundation (NSF), Woodworth and Gordon analyzed geophysical evidence from the Pacific Ocean. This included fossil signatures from deep ocean sediments, the magnetic signature of oceanic crust and the position of the mantle “hot spot” that created the Hawaiian Islands. 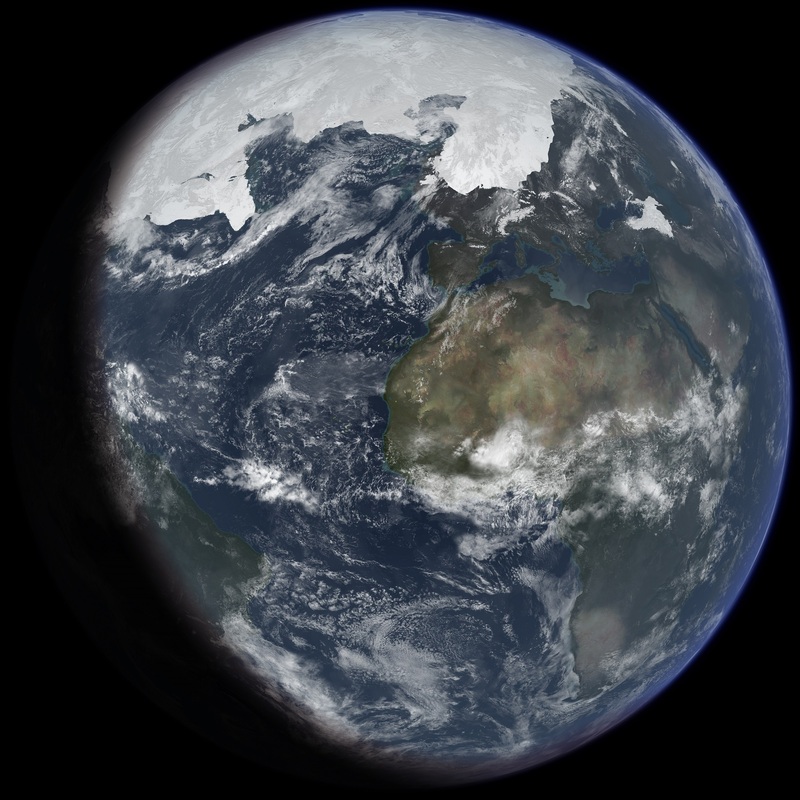 From this, the team deduced that within the past 12 million years, the Earth experienced “true polar wander” – a phenomenon where the planet shifted relative to its spin axis. If these anomalous clumps are massive enough, they could unbalance the planet, causing it to gradually shift and bring the excess mass closer to the equator. This redistribution of mass to a new equator would not change the tilt of Earth’s spin axis, but would change the points on the surface where the spin axis emerges (aka. the poles). While the shift they measured would only be by about 3%, it would have had the effect of moving the Earth’s mantle. While the mantle under the tropical parts of the Pacific would have moved south, Greenland and parts of Europe and North America would have moved north. This shift would result in lower temperatures in these latter locations, which could have triggered the last ice age. According to Woodworth, the hot spot data from Hawaii provides some of the best evidence that true polar wander is responsible for the way the Earth’s poles starting moving 12 million years ago. However, they also suspect that past instances of polar wander may be recorded in the magnetic signatures of rocks, which are studied by geophysicists to determine when the Earth’s magnetic field flipped in the past. Looking ahead, Woodworth and Gordon are working with colleagues to build upon their analysis. In addition to extending it from 12 million years ago to the present, they also want to extend it further into the past, beyond the 48-million-year start date they used for this study. The result of this could be a more refined understanding of how Earth’s geological history, its ice ages, and the evolution of life are interconnected. Anyway, if I’m the only one having a problem with this then don’t worry about it – I often struggle with the style of “How to Teach Yourself ___” books, so I can easily assume it’s on my end. I do appreciate the site and articles in any case.